The world today is borderline obsessed with eating protein. It is a true fact, that nobody can deny. There is the constant struggle to have enough protein and find variety in the sources from which it can be obtained. There are various incomplete proteins like nuts, whole grain, and the likes, but consume them together and voila!, you have complete proteins that are packed with all the nine amino acids that the human body needs but cannot produce otherwise. Here we bring to you a list of proteins that can be incorporated into your diet, without much extra effort and help you fight off symptoms of any deficiency in case of protein. Soybean is one ingredient that can be eaten in multiple ways, each better than the other. A mere half cup of tempeh – an indonesian soy product – holds twenty one grams of protein. Dry roasted beans is another great option, packing in eighteen grams of protein in only half a cup. Steamed soy beans, soy milk, tofu are all alternatives for your daily protein intake. Add soya chunks to the rice dish, or as a substitute for potato in a vegetable dish. You can also have your morning cereal in soymilk. Try to incorporate tofu in your dishes, like in burgers instead of an oily cutlet, or as the fillings in steamed momos. Roasted soy beans make for a great snack to eat on the move. The market is flooded with quinoa products, seems like this ancient grain is here to stay. Quinoa has a higher protein content than most other grains, along with containing healthy unsaturated fats and being a great source of fibre. 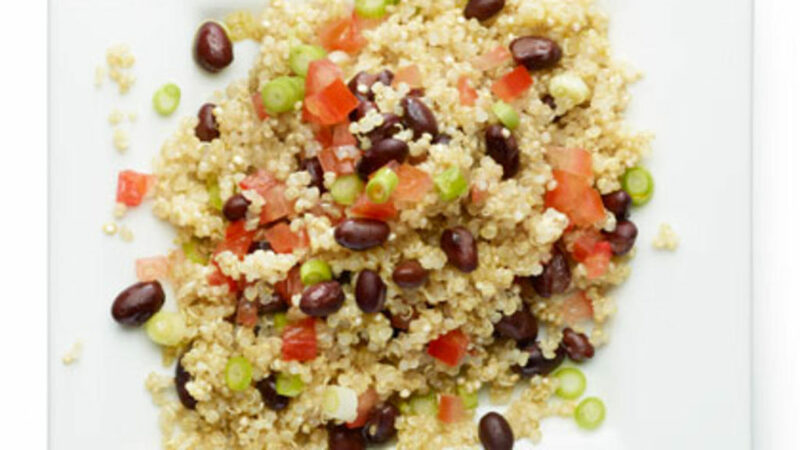 While you can add quinoa to your veggie beans here is a recipe of a quinoa salad. For the salad dressing: add all the dressing ingredients together and mix it well. Mix together, 1 tablespoon vinegar, 2 tablespoons lemon juice, 2 tablespoons olive oil, 1 teaspoon sugar, 1/2 teaspoon salt, 1/4 teaspoon black pepper, 1/4 teaspoon mustard (rai) powder and 1 teaspoon ginger juice. Boil half cup quinoa in one cup water in a saucepan. Reduce heat to medium-low, cover the saucepan with a lid and let it simmer until all the water has been absorbed. Set aside to cool. In a salad bowl layer all the ingredients, spread chopped lettuce, two cups of arugula, quinoa, then 1 cup cucumber, one diced tomato, and one peeled and diced orange. Mix everything together. You can add feta cheese on the top for garnishing. 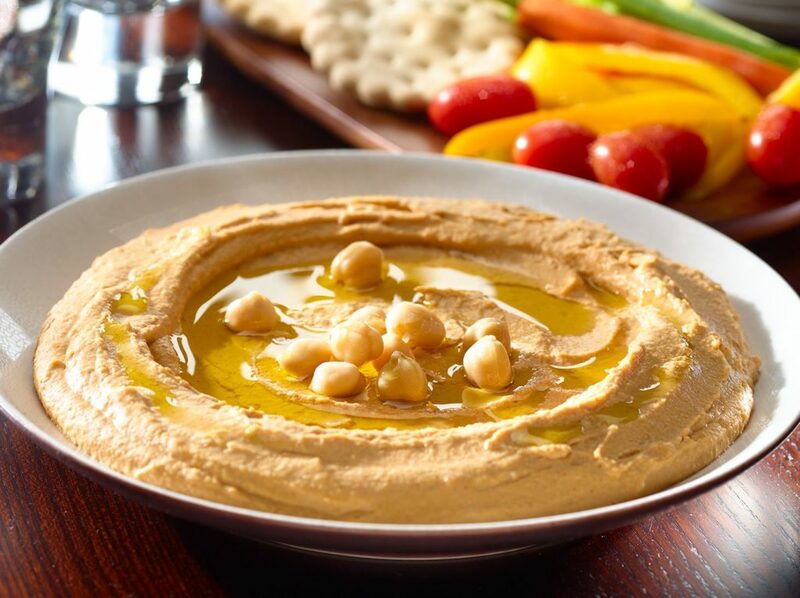 Hummus is a combination of Garbanzo beans and Tahini. 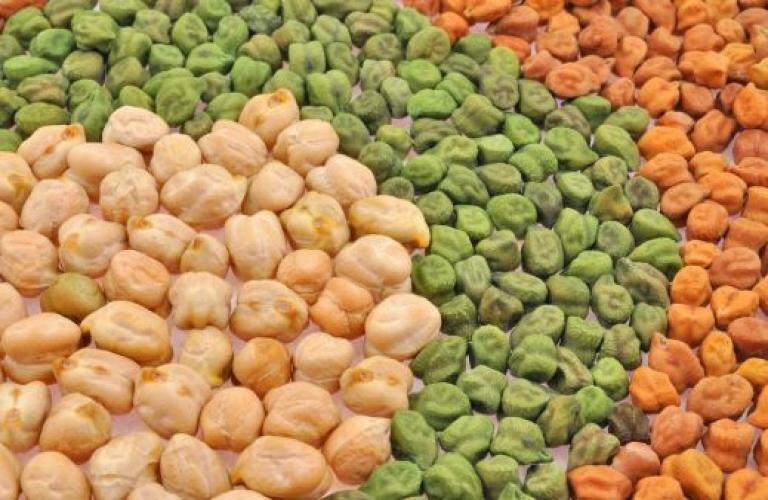 The beans are high in lysine while tahini is high in methionine, both are individually incomplete proteins but come together to form a complete protein in hummus. Hummus can be used as a spread in sandwiches instead of mayo or other sandwich spreads. It can be also be used as a dip for snacks or just to eat with raw vegetables as a healthier option. Look out for the hummus before buying it. Not all hummus contain tahini. Who would have thought your guilty pleasure is also healthy, only when taken in standard two tablespoon servings, but of course. This serving provides a mean dose of muscle building protein, without adding to your waistline. Consuming peanuts can prevent the most common type of heart conditions like cardiovascular and coronary artery diseases. Look out for the unsalted or no sugar added varieties without hydrogenated oils to get the best results. Add peanut butter to your smoothies or spread it on your brown bread for a quick fix. Grind two cups of cashew nuts to powder. Dry grinder or a coffee grinder will do the work best. Roast the cashew nut powder for about 4 minutes on a low heat in a heavy bottom pan. Make sure to not overheat it otherwise the powder will start getting oily. In a saucepan, boil the one and half cup of sugar 3/4th cups of water on a medium flame until the syrup is one thread. As an added option, you can add about 20 strings of saffron. Add the cashew powder to the syrup mixing it well, ensuring that all lumps are dissolved. The consistency should be such that it can be rolled into a soft ball.Next spread the mix quick to the greased plate. Spread before the mix cools off. Allow fudge to cool first and cut them into small pieces before serving them. This tropical fruit, guava, packs more than four grams per cup of protein, along with 9 grams of fiber. It also has Vitamin C amounts that are equal to seven oranges. This fruit needs to make its way to your home ASAP. Eat raw guavas on the go, add a pinch of black salt or chaat masala to make it more appealing, if you must. Guavas can be added to your salad mix too. Add it your cart on Grofers. You do not need to worry about the fruit being expensive because grofers coupons have got your back in this. Enjoy the discounts and the food. Soak half a cup of kidney beans and one cup of chickpeas overnight. Blend three chopped tomatoes and 1 tablespoon of chopped green chillies together to make a puree. Add the beans, salt to taste and water as needed to the mixture. Cover the pan with a lid and let it cook for 10 minutes on medium heat. Ready to eat. Serve with an indian bread or rice. The protein content in the tiny looking peas will make you sit back and rethink their importance in your diet. One cup of peas is equivalent to eight times the amount of protein in one cup of spinach. What is more it also has near about 100% of the daily value of Vitamin C required by humans, in that one cup itself. It will keep your immune system is it’s best shape. You can add a handful of peas to the morning breakfast of upma or poha. Add them to your vegetable preparation for the afternoon or to the rice. Peas can be easily incorporated into the daily meals without having to go out of your way to make special dishes to add them to your diet. Wash and soak four cups of kala chana overnight. Add two cups of water and cook in the pressure cooker on a medium flame for 20 minutes. Then turn off the flame and drain the excessive water (this water contains a lot of protein and can be used to make soup or dal). The chana should be soft. Heat about 2 tablespoon oil in a pan. Add the chana, some ginger, green chilli, one tablespoon coriander powder and saute is for about one minute. Add one teaspoon each of salt, black salt, and chilli powder, one tablespoon sugar and one fourth of a cup of tamarind pulp. Cook for three minutes. Take down the pan. And mix the chana with chopped tomatoes, cucumber and capsicum. Sprinkle some roasted cumin seeds powder. If you want you can squeeze a slice of lemon for added taste. Lentils are the kind of proteins everyone needs in their lives. Especially for all the vegans and vegetarians who are anti any meat. One cup of lentils has proteins is equal to three eggs put together minus all that fat. 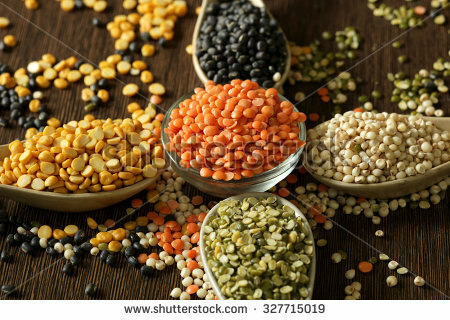 Lentils are extremely hunger satiating and the best perk is that is speeds up the fat loss process. Lentils can be added to the soup you are having. Otherwise we have the all time favourite, super easy to make, khichdi. This list is sure to have helped you with your daily struggle with the management of your nutrients in your diet. All nutrients are essential and protein is one of them. Make sure to absorb proteins into your daily food intake, for a healthy version of you.